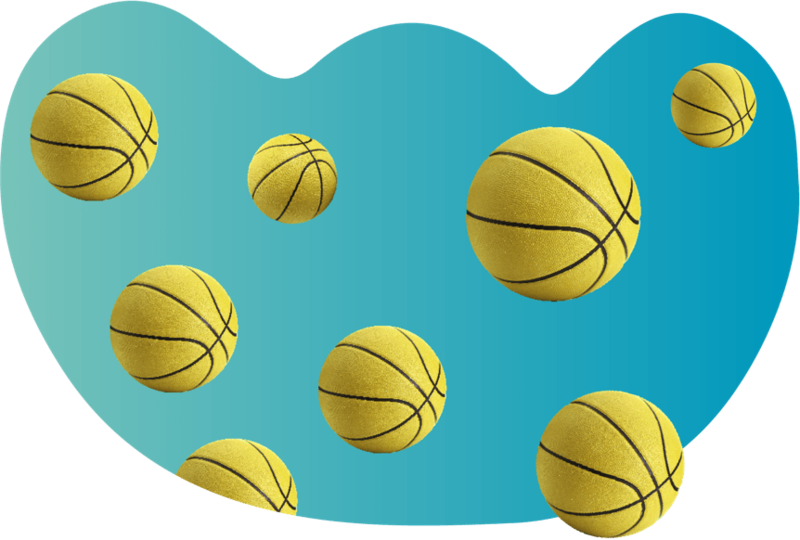 If you sign up for Campus WOB BASKET PRO, you’ll be balling every day, no matter what your level is. You’ll have intensive basketball practice to improve your individual and team skills, under the guidance of expert coach Bernardo Rodriguez and other top-rate coaches, playing in great facilities and sharing the experience with other campers who share your love for the game. And don’t forget: you’ll get the chance to play with an NBA star! If you love basketball and you want to take your game to the next level in a setting that’s full of creativity, learning and positive values, don’t miss out on the chance to come to WOBLAND. Don’t wait till the buzzer sounds and time runs out. WOOOOOOOOO! Campers attending WOB BASKET PRO will get extra time to cool off in the swimming pool after their morning practice sessions. They will share workshops and night shows with Wobers attending other camp options, to encourage a sense of unity and friendship among all campers. • MORNING: you’ll spend three hours in the mornings doing drills and skills to improve your game: individual skills, passing, dribbling, shooting and defense. Drills and skills sessions are led by Bernardo Rodriguez, one of the foremost youth basketball coaches in Spain, and his team of top-level coaches. One morning you’ll get the chance to take a picture with an NBA star, a magic moment to remember forever! • EVENING: you’ll spend two and a half hours playing basketball games, both one-on-one and with teams. There will be shooting contests and skills challenge obstacle courses. Our NBA star will also participate in 5-on-5 games with campers.